IFA seems to come around rather quickly … and this was the fourth year we have been helping our client Sony dominate the headlines. 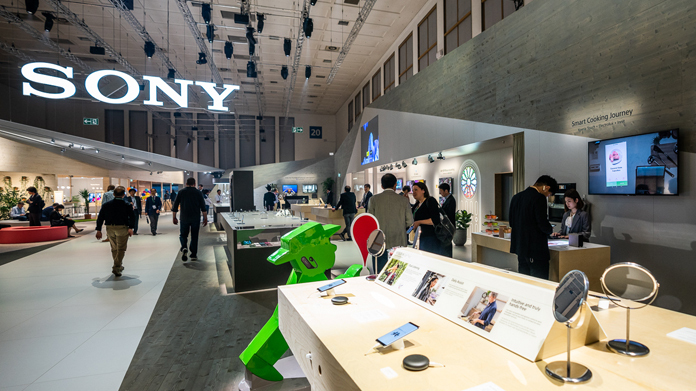 The European tech show in Berlin sees all the major manufacturers announce their product line up for the year ahead and our team have been close to the action – on the ground and on the phones – to make sure the coverage was deserved of the incredible products announcements from Sony. The brand has led the way launching a fantastic array of new and innovative tech including the industry leading 1000XM3 headphones and the brand’s first fashion watch – the FES Watch U – complete with interchangeable design and e-ink technology. The stand dazzled with the new Master Series BRAVIA TVs and robo-dog Aibo made an appearance for the first time in Europe (swoon!). Through multiple opportunities for media engagement, stand tours and relentless media relations, we ensured Sony was one of the most talked about brands at IFA, with Tech Radar naming the 1000XM3 “Best Headphones” in their Best of the Show round-up. Elsewhere, the 1000XM3 headphones and DMP-Z1 digital music player earned a place in the What Hi-Fi? “Best New Products” round-up and Stuff featured the FES Watch U fashion watch and the 1000XM3 headphones in their “Hottest Gadgets from IFA 2018” round-up. Sony also hosted a press trip with Xperia taking a number of key media including Press Association, the i, T3 and The Independent. 119 pieces were generated from the press trip alone. Over IFA, we issued 11 press releases to over 800 contacts securing over 300 pieces of coverage to date. The results were our best yet, doubling last year’s results and counting! Coverage has been across the board including The Sun, iNews, Daily Mail, T3, Stuff, Tech Radar, Pocket-Lint, Trusted Reviews, What Hi-Fi?, The Irish Examiner and Daily Telegraph (to call out just a few of the hundreds of pieces).